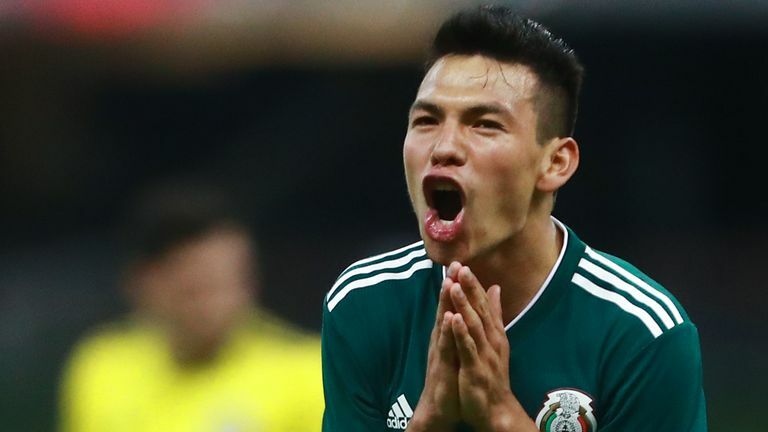 Manchester United look set to miss out on Mexico star Hirving Lozano as the forward will snub a proposed £37 million move to us and join Tottenham Hotspur, according to reports in Spain. The 22-year-old moved to PSV Eindhoven for £7 million last summer and made a name for himself with 19 goals that topped the Eredivisie goalscoring chart en route to winning the title. Lozano then made a name for himself on the world stage this summer by scoring Mexico’s winner in their 2018 World Cup opener versus defending champions Germany. A move to Manchester United appeared to be on the cards last week when TeamTalk reported that we had agreed a £37 million deal with the Dutch champions after Jose Mourinho identified the forward as a key summer target. The Mexican star can play equally on either wing and we have been linked to a number of right wingers this summer, with Real Madrid’s Gareth Bale another name strongly linked with us. However, it looks as though we could be set to miss out on Lozano as reports from Spanish outlet Don Balon (via TeamTalk) claim that Tottenham Hotspur are in the driving seat to sign the attacker. The report says that the player himself is keen to join the North London outfit where he is likely to play more regular football. Hirving Lozano scored 19 goals and registered 11 assists in his 34 Eredivisie appearances for PSV Eindhoven last season.